Project Description: In this study, retaining wall systems are simulated in a computer program, and earthquake loadings are applied to the computer model. 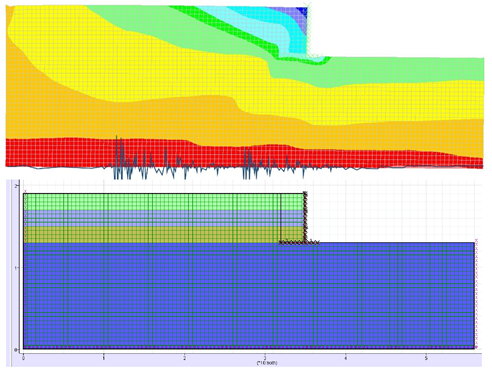 The figure shows the numerical model of a retaining wall which is subjected to different dynamic inputs. Several factors including earthquake acceleration, Arias intensity, backfill properties, the interaction of soil and wall, etc. are studied in this investigation.